This is my first time ever trying out Makeup Essentials brand. My husband bought this cosmetic set last week for me while out and about in town. Even though I didn't ask for this makeup, he did get it for a pretty good price of $20. The only problem I have with the contour kit is, there isn't a darker color to contour my jawline with. Usually I use a Black eyeliner to help define my face. 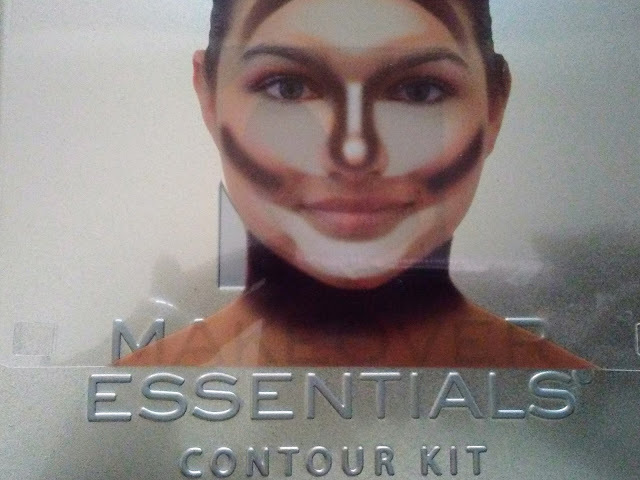 I just can't seem to find the perfect contour for my skin tone, but I will use this kit anyway for highlighting. I like that it's powder and not cream.  #MakeupEssentials Brand makeup the hubby bought me last week for the price of $20.